With the loss and tragedy in Oklahoma all of these photos seem trivial. Sometimes it is the small things that keep us moving forward. Thoughts and prayers to those in Oklahoma. What will your next salad include? I have a new love for experimenting and creating new types of salad. I love fruit on my salad, which I know is often a very personal taste. The possibilities are endless! The above beauty was my dinner several nights this week. 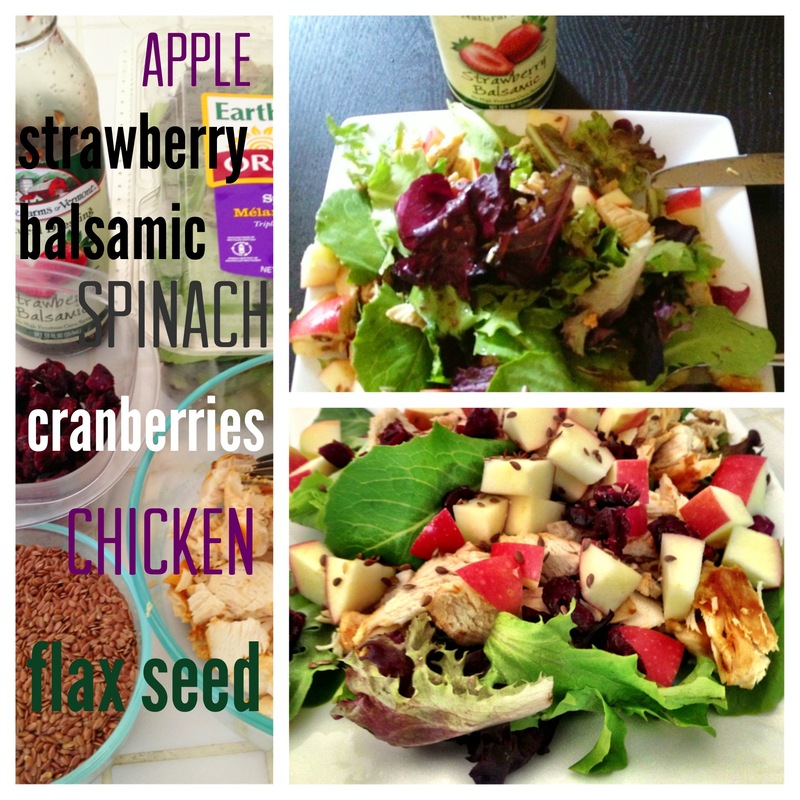 The dressing is great; it is all natural, gluten and allergen free, and free from high fructose corn syrup. When dining out I love Wendy’s Berry Almond Chicken Salad (now back for summer) and their Apple Pecan Chicken Salad (minus the nuts-ick). I also LOVE Panera’s Strawberry Poppyseed and Chicken Salad finally back for summer, too! I can just smell them! One of the best things about spring are the lilacs blooming. I’ve loved the smell since childhood and think they are beautiful, too. 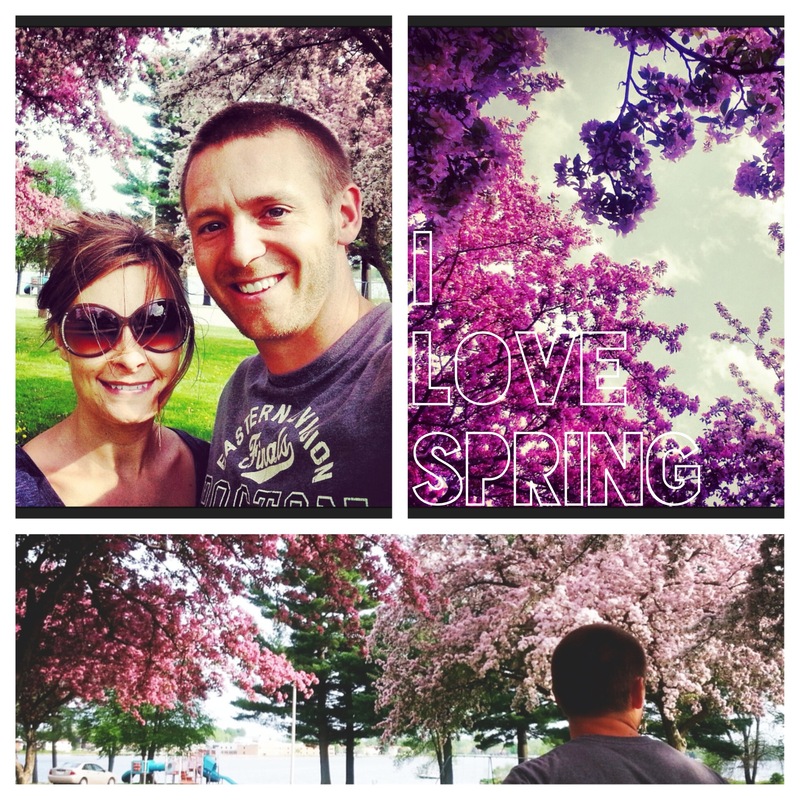 They were in full bloom when Ry and I went for a walk last Sunday past a park where we snapped these shots. 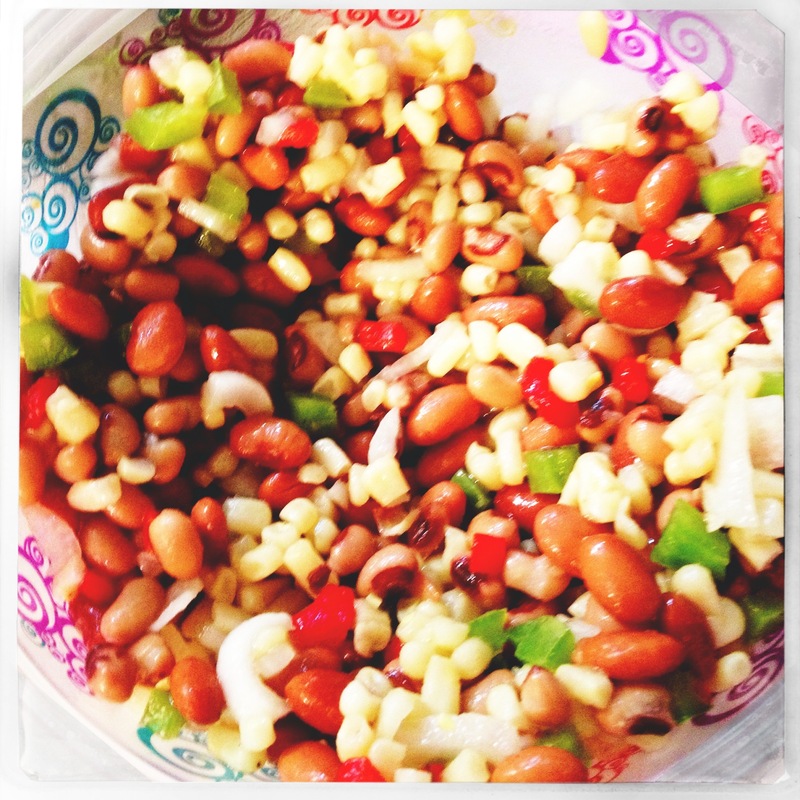 At a coworkers get together last Friday, she had this AMAZING Pinto Bean Salsa, so of course I got the recipe to share with you. I’m going to use fresh vegetables to go with my clean eating. Bring to a boil. Remove from heat and cool. Pour marinade over bean mixture. Marinate in the refrigerator overnight or 24 hours. Drain and serve with chips. Enjoy! 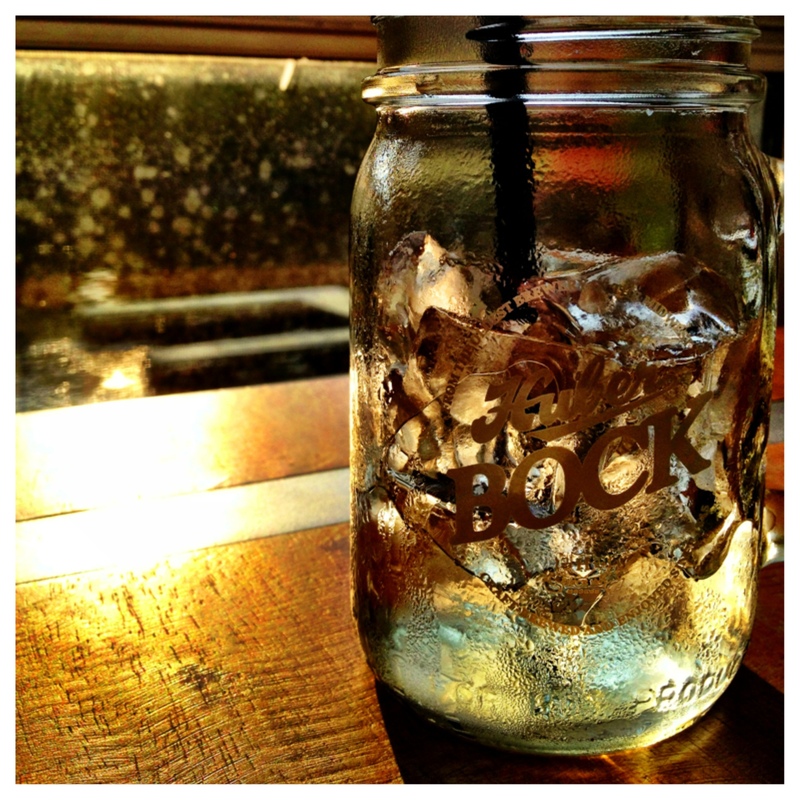 I love eating out in the sunshine. Add a body of water and you have the perfect relaxing setting! Bonus points if you make a fresh salad or cowboy caviar and eat it outside. Heaven! Yes, you heard me. Leave it to Runner’s World to make running even more fun and crazy. It is simple. Run 1 mile everyday starting on Memorial Day (Monday, May 27) until the Fourth of July (Thursday, July 4th-duh). Share your challenge with the world by posting this photo to your Facebook account. Make a public commitment like I did with my summer training plan. I’m going to modify my streaking since with my training plan I will NEED those rest days. On my rest days I’m going to commit to walk a mile to keep the streak going. 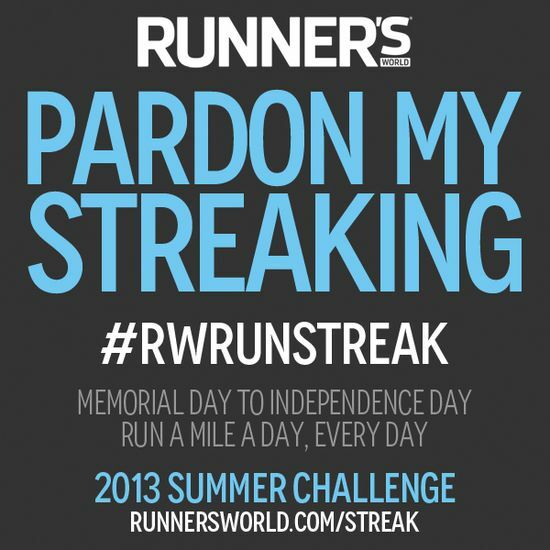 So join me…and pardon my streaking!